Up to this point, e-Rustler, e-Stampede, Slash & Bandit owners have relied on bushings or undersized, weak bearings to handle the punishing chores of supporting the wheels. 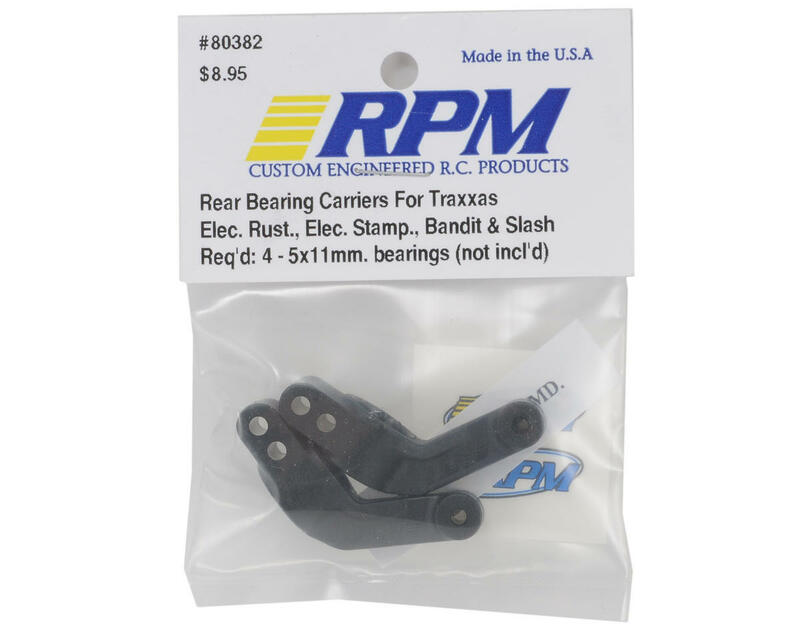 RPM’s front and rear bearing carriers allow e-Rustler, e-Stampede, Slash & Bandit owners to install massive 5mm x 11mm bearings (not included) that will not only improve performance, but will increase the time interval between maintenance periods. 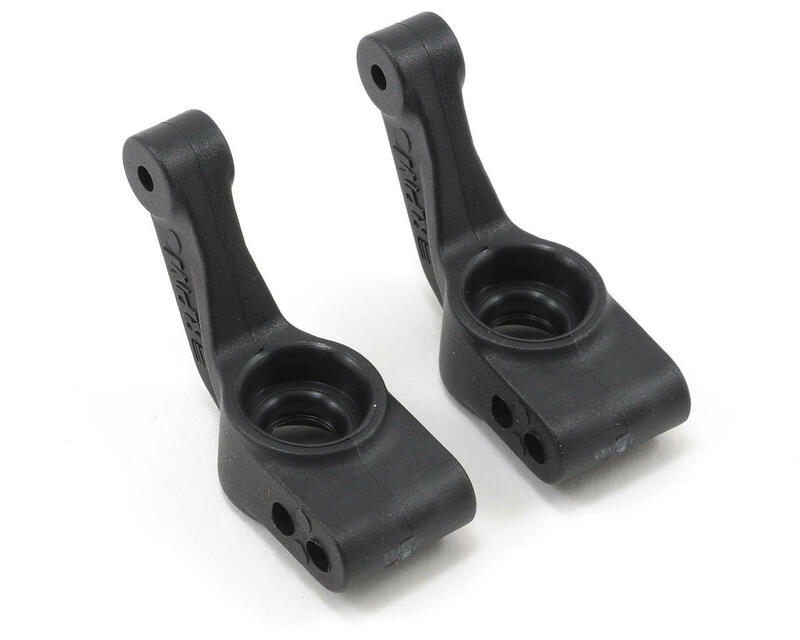 In addition, our front and rear bearing carriers are molded in black from RPM’s killer blend of bulletproof nylons and are guaranteed not to break! Ok here is the truth: RPM Rear Bearing Carriers are the perfect combination of strength and durability, with just a touch of flexibility to save you when all other parts would have exploded like a parked smart car vs. a speeding 80,000lbs. semi truck. Yes they can break, but in a hammer like way: well used or a completely random fluke. I've never had any issues and they fit better then Mechanics Gloves.